Hosting Offer: Order now any hosting package and get FREE 10 times more storage space! Web hosting packages are activated automatically in a few moments at checkout. Order now web hosting package according to your website and get FREE hosting for the first 15 days. 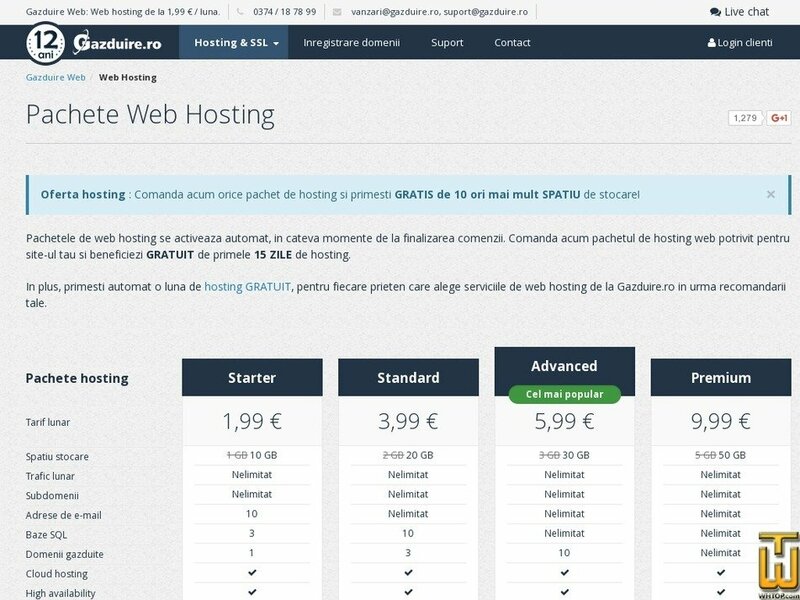 In addition, automatically receive one month FREE hosting for each friend who choose web hosting services from Gazduire.ro following your recommendation. Price: € 1.75/mo. VAT 19% exc. Price: € 2.46/mo. VAT 20% exc.